Architect and planner Stephen Parker, based out of SmithGroupJJR’s D.C. offices, is a community designer and advocate who writes about community-driven issues and equity. 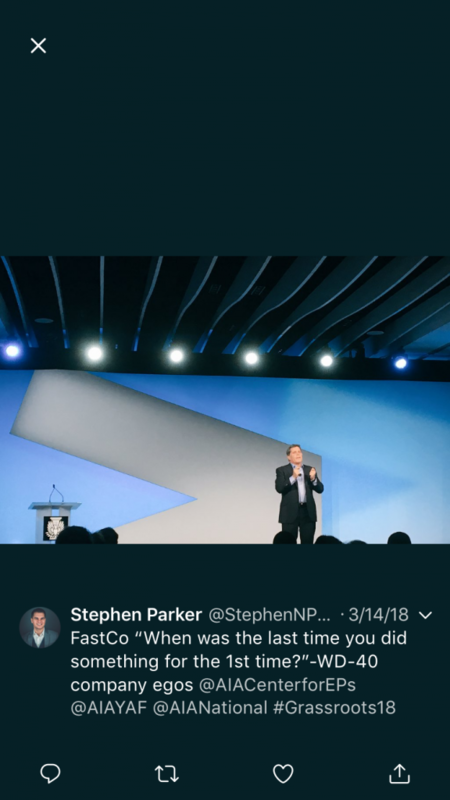 Stephen serves as the AIA’s Young Architects Forum National Advocacy Director & co-founder of the AIA’s National Design Services Act (NDSA) Coalition. He is a recipient of the 2018 AIA Young Architect Award. 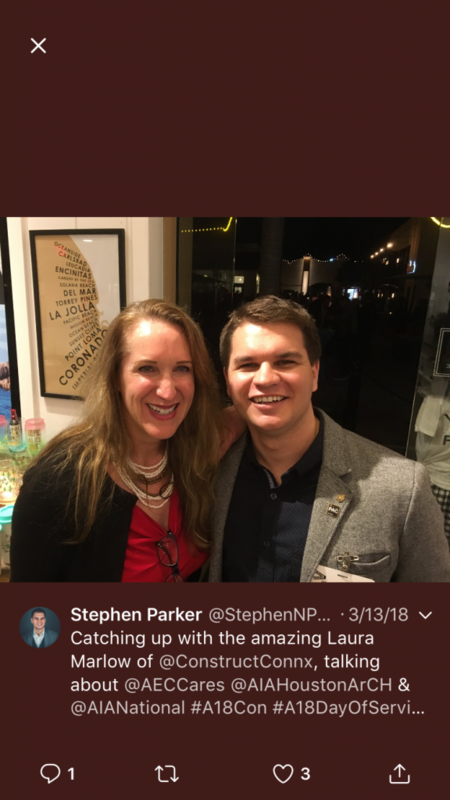 Parker attended Grassroots 2018 — here are his impressions and takeaways. Each year, Grassroots brings together its new and returning leaders to strengthen the profession. Leaders from small and large chapters share best practices and success stories. In 2018, sunny and pleasant San Diego offered a welcome reprieve to those of us experiencing successive Northeastern storms on the other side of the country. 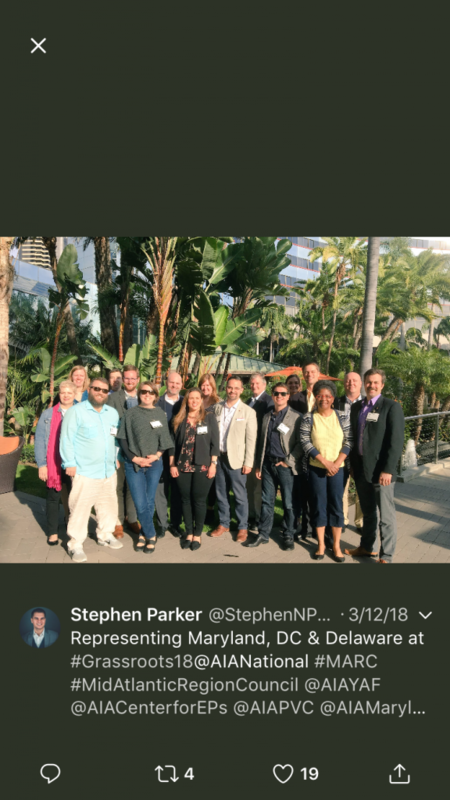 For emerging professionals, those members of the Young Architects Forum (YAF) and the National Associates Committee (NAC), the event provided another opportunity to make our voices heard to the leadership of the AIA in a smaller forum and to better connect with peers across the nation. 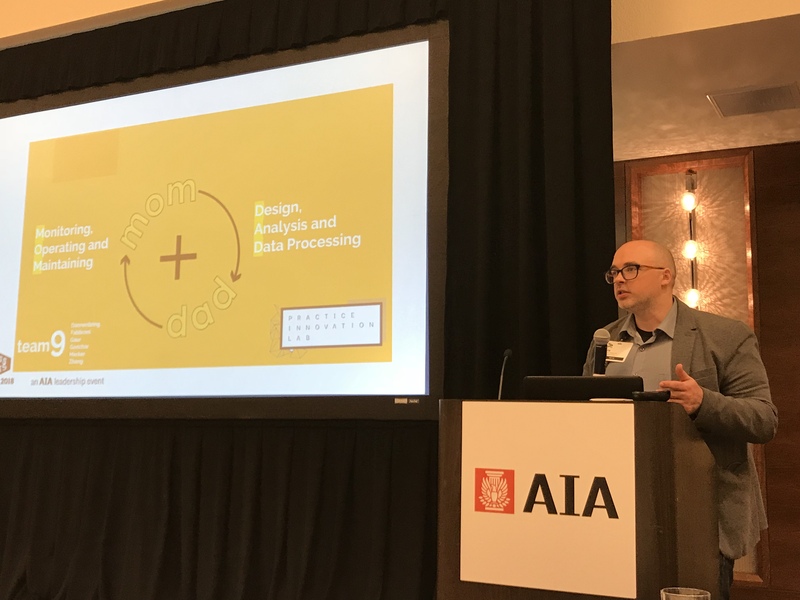 For Mel Morse, President of AIA Alaska and Pacific Northwest Young Architect Regional Director, Grassroots was “two and a half days full of networking with architects across the country that are interested in improving their communities. Grassroots gives us a chance to see friends and make new connections that can, in turn, strengthen our local chapters.” That sentiment was echoed by newcomers and veterans alike. With the theme of “Influence,” we felt our collective power through the number of overachievers, dreamers and leaders who were present. Larry Fabbroni at Grassroots ’18, photo by Lora Teagarden. Initial sessions focused on the AIA’s successful Regional Urban Design Assistance Teams (R/UDAT), cross disciplinary groups made up of AIA members that help cities and regions envision their future through design. Their work transforming cities across the nation in community-focused, design-driven re-development strategies leaves a lasting legacy. With the help of architects, substantial urban landscapes from Portland, to Boise, to Nashville, have undergone major transformations that aim to better serve their local communities. Evelyn Lee at Grassroots ’18, photo by Lora Teagarden. Emerging professionals made their presence felt in a number of ways. As a collective, we are committed to raising the most funds for the aptly named EP WolfPAC. 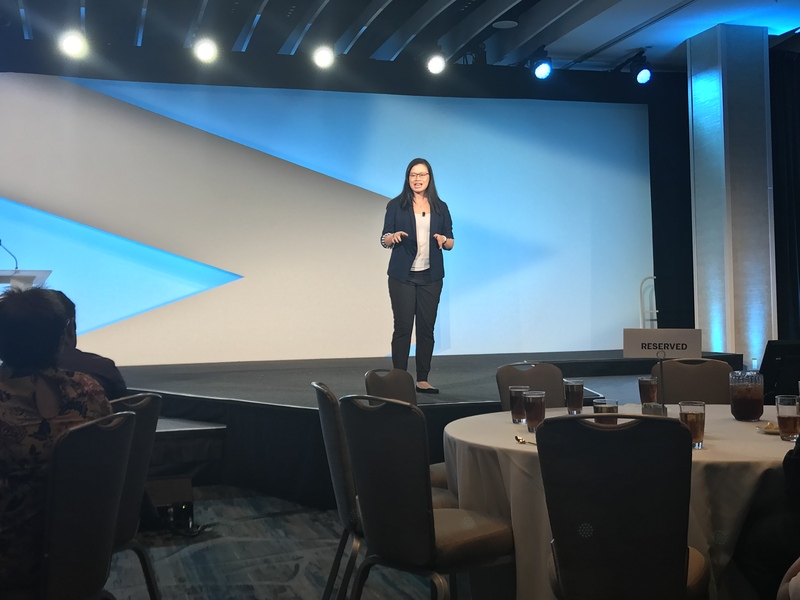 Evelyn Lee, AIA, the former chair of the YAF, shared the story of the Practice Innovation Lab, a gathering of 60 emerging leaders in field to develop innovative & sustainable new practice models for the future of the profession. Illya Azaroff, AIA, a former YAF Advocacy Director and Strategic Council Representative, shared how architects can lead by advocating for resiliency. Illya’s advocacy work with resiliency focused not only on his native NYC and the aftermath of Super Storm Sandy, but has spurred national efforts to design more resilient communities. Illya Azaroff at Grassroots ’18, photo by Lora Teagarden. Regional Associate Director Amber Haro, as she led an initiative to organize an Emerging Professionals Pub Crawl. Altogether, the event raised over $1,000 to support emerging professionals in the Western Mountain Region. “It really does look that we are coming together to support each other and help each other grow,” said Caravella. “There seems to be a feeling of personal need to this contribution rather than an ask for it.” This impression was shared by emerging professionals throughout the event. Sessions ranged from advocacy training to chapter management, but the spirit of the gathering coalesced around the keynotes. Jonathan Rose, a design-driven developer whose namesake company focuses on affordable housing, is transforming the communities his group has interacted with. Sessions led by emerging professionals, including the YAF’s recap of the Practice Innovation Lab, also echoed this enterprising spirit. 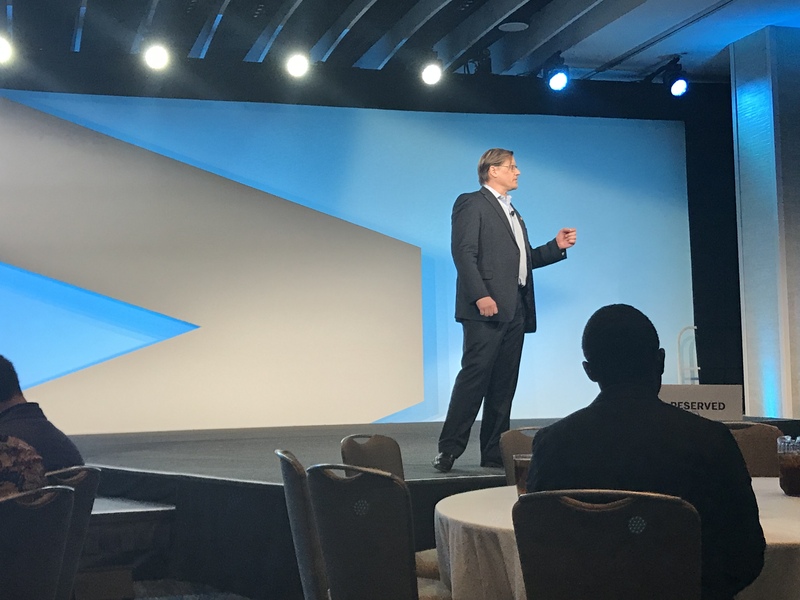 The Practice Innovation Lab was the format for Summit 25, a strategic planning conference that charts the future path of the YAF for the next five years, the fifth such event in its history. Several teams reflected on the Lab and how exploring new business models freed many to think about doing good for their communities while doing well financially. Stephen Parker & other architects from the Maryland, DC and Delaware area at Grassroots. The founding editor of FastCo, William C. Taylor, urged architects to experiment, innovate and take risks habitually. Architect Stephen Parker with Laura Marlow, of Construct Connect. 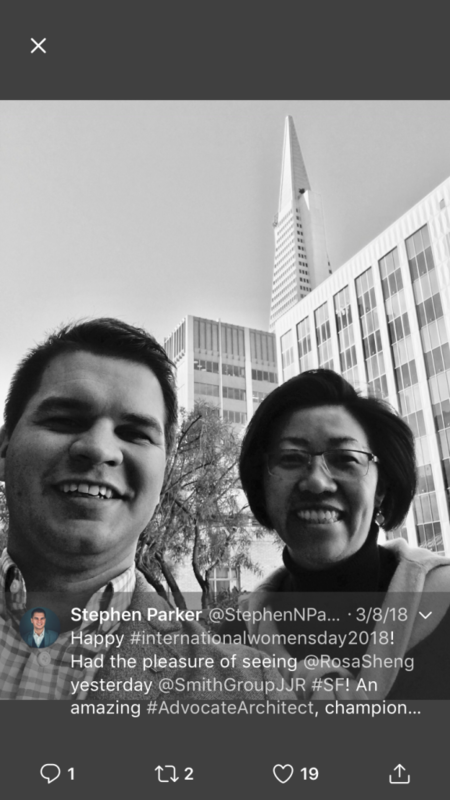 Stephen Parker with advocacy leader Rosa Sheng at Grassroots. One overshadowing event was the breaking news of Richard Meier and allegations of sexual harassment. Many had expected such an announcement of architecture’s #MeToo movement coming, but it was somewhat surreal to find out in middle of Grassroots, with the combined leadership of the AIA in attendance. To say it dominated the rest of the conference would be an understatement. The AIA First Vice President William Bates, FAIA, was quick to condemn such behavior in the profession, and there was an impression that action is needed, sooner rather than later. For the closing keynote, the founding editor of FastCo, William C. Taylor, urged us to experiment, innovate and take risks habitually, asking, “When was the last time you did something for the first time?” For the AEC industry, the building construction cycle is one of the most predictable patterns in economic history. To survive and thrive, we must innovate, practice and expand our influence as a profession. For emerging professionals, this is an imperative for our future. As Taylor explains, “the biggest impediment to business is the fear of failure & that stifles learning & therefore the possibility of success.” We can’t wait to fail, so we must fail faster to succeed sooner. 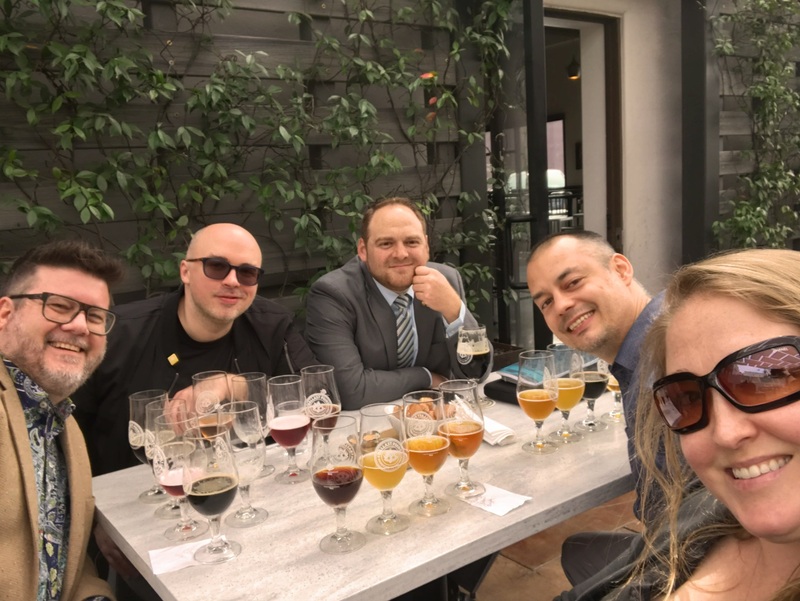 Architects who attended Grassroots ’18 enjoying beer, photo by Lora Teagarden. To echo the theme of the 2018 AIA Grassroots, we must be of influence. Since influence is advocacy, we must advocate for our causes, for our colleagues, and for our community.